Chachan Yiwei (茶禅一味): Tea and Zen are one flavour i.e. inseparable flow between one and the other. 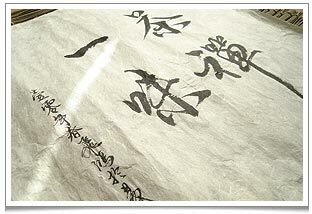 This calligraphy was created for me by a tea master Fei Hong in Yi Wu (易武 – one of the pu erhs growing regions), Yunnan in the Spring of 2010. 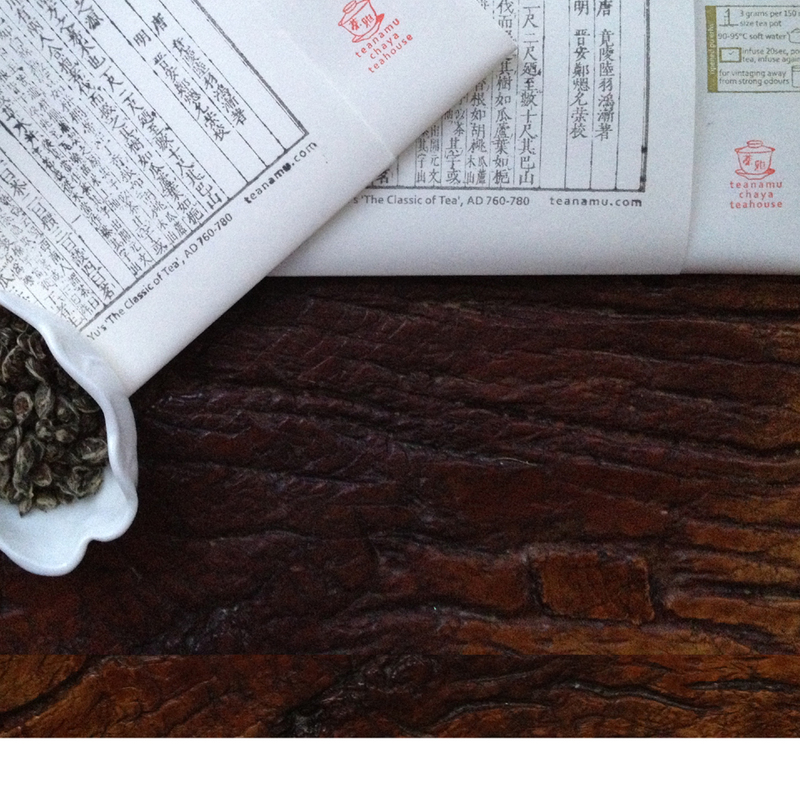 Chachan Yiwei (茶禅一味) is a phrase commonly found in teahouses and tea books in both China and Japan. Directly translated, it means tea (‘cha’ 茶) Zen (‘chan’ 禅) one (‘yi’ 一) flavour (‘wei’ 味): ‘Tea and Zen are one flavour’ i.e. inseparable. It’s the concept that we are indistinguishable from the tea in our cup, just as the archer and the target merge into one another in ‘Zen in the Art of Archery’. This seemingly paradoxical, even impossible, idea of unity is beautifully conveyed in Eugen Herrigel’s famous book. One of the reasons I’m so keen on using the gongfu cha ritual at Chaya Teahouse is to encourage a Zen quality in the experience of tea drinking. With much practice we can empty our mind of petty, irrelevant meanderings and ‘simply be’ in the moment. It certainly is simple though that doesn’t mean I’m saying it’s easy! Herrigel describes how the study of Zen mindfulness is pursued in Japan through dedicated application to the acquisition of a skill, whether it be archery, or chopping wood, or brewing and drinking tea, or any activity that is quite physical and even mundane. The Zen Master will insist that the pupil ‘get out of the way’, instead of being over-involved with the act as is common human habit. 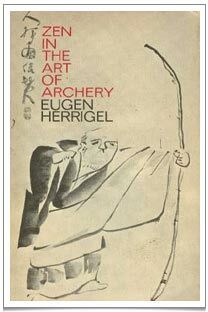 Cultivating an ’empty mind’ and ‘eyes that hear, ears that see’, Herrigel himself over time learned to draw the archer’s bow yet not draw it, so that the arrow might pluck itself out of his hand and fly towards its target, as it were of its own accord. When after some years, Herrigel at last loosed a shot which gained his Master’s approval, he was forbidden to feel any elation over his success. He was instructed, instead, to bow to the target, in recognition of the fact that it was not he who had made the good shot, but the target! Zen teaches appropriate humility: when we’ve achieved something ‘clever’, it only means we have ceased getting in the way. In understanding and appreciating tea, I am seeking to learn not to be overly involved or attached, to inhibit my habitual response to the stimulus represented by the tea, not to react to the impulse to ‘mind wander’, not to crane my neck towards the cup or hunch over the pot, not to gulp down the delicious beverage – basically, interfere as little as possible and let the tea ‘drink itself’. The need to be aware of being mindful may sounds like tautology but being mindful is a skill we innately know as babies! A baby is aware of what they feel from one moment to the next. As we get older we develop ways of containing or controlling ourselves that often reduce our mindfulness as we may be in unpleasant situations where mindfulness is not useful; we learn habit patterns of avoidance, tensing up, ‘mind wandering’ etc., and it takes a certain kind of discipline to unlearn this stuff. It is very fulfilling to sit now, writing this, a cup of tea by my side, aware of a wisp of aromatic steam and the sound of the rattling kettle, recalling a bamboo valley in China, the bamboo swaying in the light breeze, meditating on the unreality of reality and the constant, present experience of not being but becoming. Words like ‘peace’ and ‘flow’ are just an attempt at conveying what it is like, through the wisdom of Zen, to restore the natural function of mindfulness, to let ourselves be an extension of our environment, as if absorbed into the realm of nature, and to let our tea cup be an extension of our hand, and reach that experience of merger known to poets, lovers and philosophers.